Dating back to 1334, Tregothnan is the largest historic and botanic garden in Cornwall. The warm and wet conditions of the estate allow for perfect production of tea plantations. This allows Tregothnan to produce what they call ‘The Most British Tea in History’. As well as growing British tea, the vast range of plants allow for delicious herbal infusions. The diversity of the land allows for the production of Cornish Manuka, Wildflower Honeys, Kea Plum Jam, Coppiced Charcoal and Hand-Tied Seasonal Bouquets. Around the estate, the Tregothnan ‘Wild Escapes’ package offers accommodation in Cornish Cottages as well as various enjoyable experiences in the Botanical Garden. 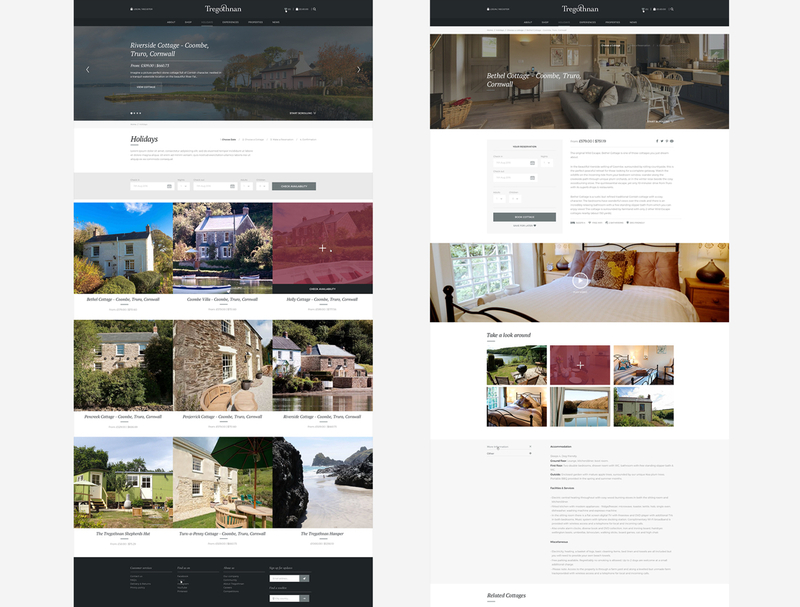 Tregothnan needed a luxury and bespoke website revival that reflected its heritage with all digital needing to encompass the multi-strand business of Tregothnan estate. 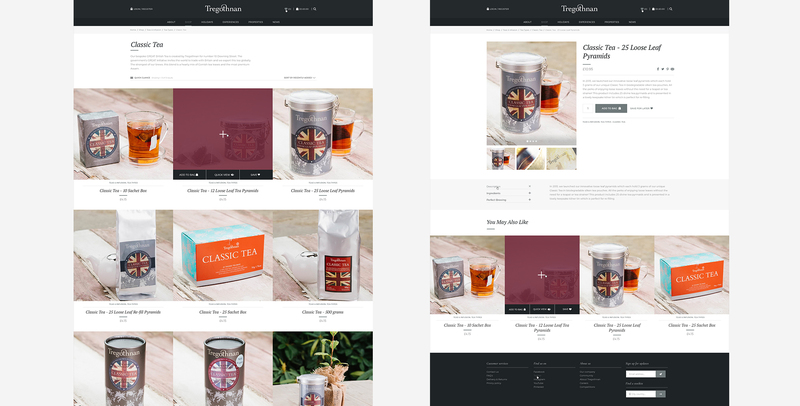 The site needed to be eCommerce driven and fully responsive with multiple templates for the various product types. 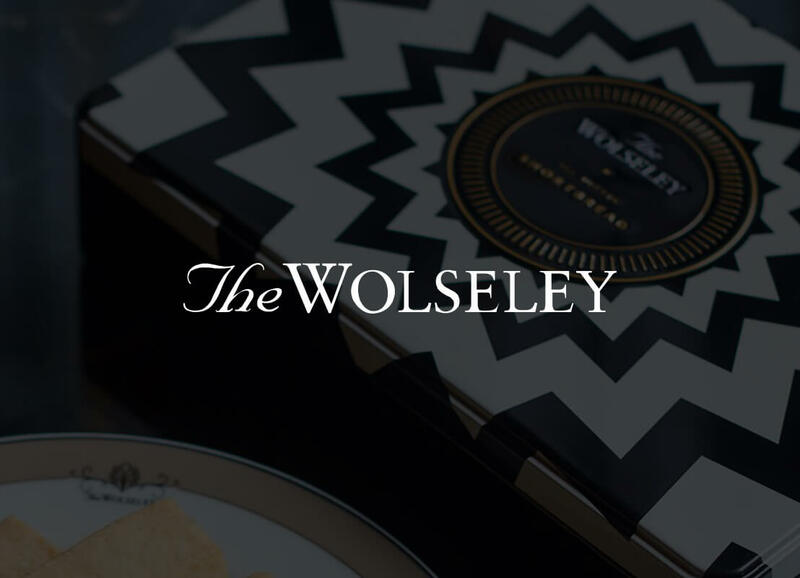 The site needed to be able to serve both retail and trade customers with an easy to update content management system. In the digital age, operational efficiency and speed-to-market website updates are key business considerations. 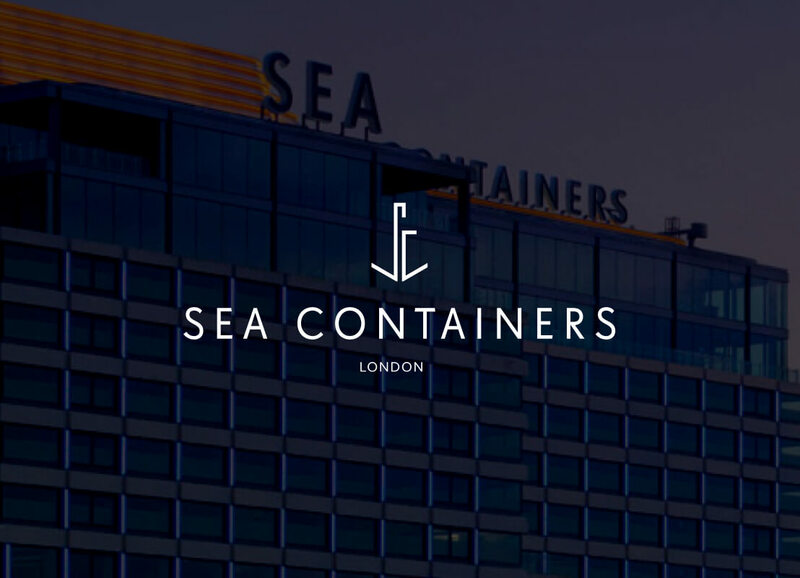 To help with this the site was designed around a CMS solution that enabled the Marketing, Brand and Technical teams to easily, build, maintain and deploy pages as fast as possible. The functionality specification was split into the 3 necessary areas of the Tregothnan business. The customer experience within the Tregothnan Estate encourages customers freely explore the different product categories. This strategy works for both the shopper with a specific product in mind as well someone who is open to brand discovery. These experience principles were considered and brought to the digital storefront. The improved homepage and category page structure made it simple for customers to navigate the site, explore the diverse range of categories and find products that best suited their needs. An advanced booking system was implemented to allow users to search cottage availability. The easy search filtering system allowed for the user to easily select their cottage of choice, the preferred date of their visit and make on site payments. The integrated events booking system allows for entire event management from creation through to ticket sales. 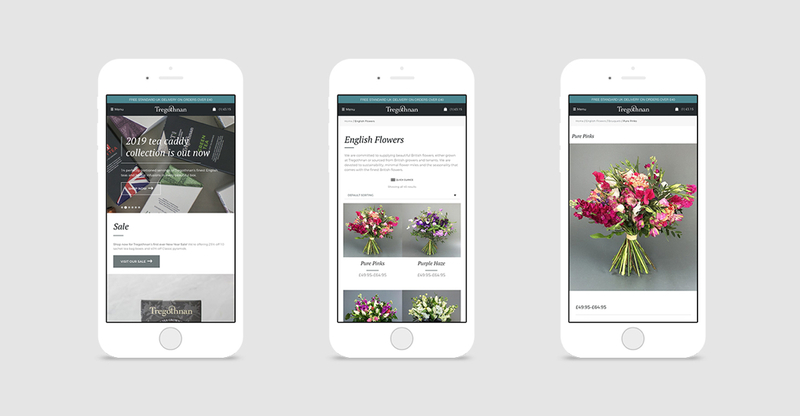 With 42% of Tregothnans traffic coming from mobile, a responsive site framework was established which focused on mobile-first design and research-proven navigation. 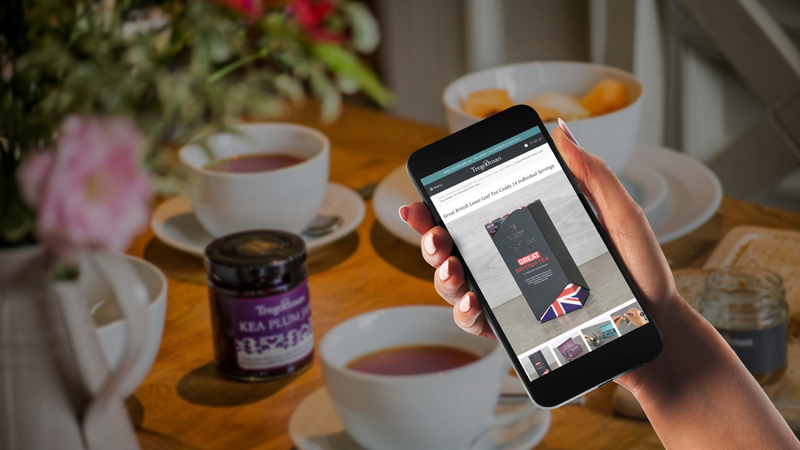 The new eCommerce experience elevates the brand’s digital presence, and guides users to revamped product detail pages, through a streamlined site architecture.